One way to create shifts is based on time. 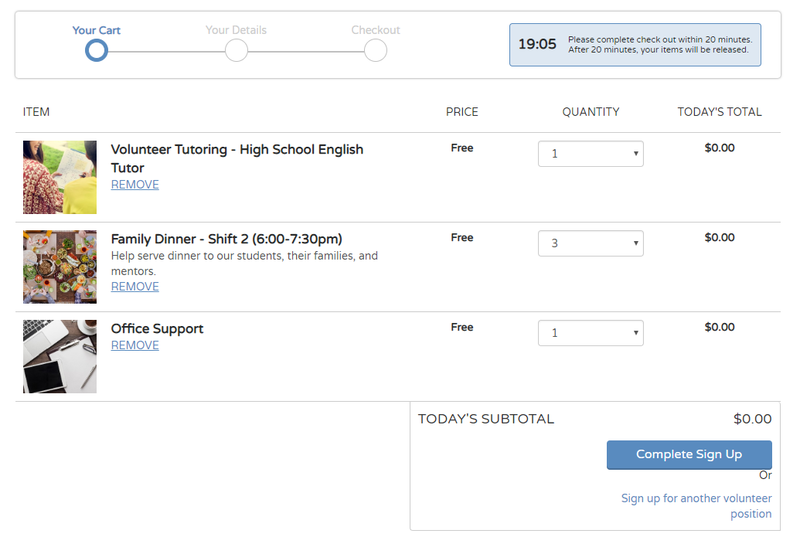 Create multiple time slots that volunteers can sign up for per volunteer position. Another way to set up shifts is based on specific roles. If you offer multiple tasks/roles that volunteers can choose from, you can use shifts to reflect those tasks/roles. 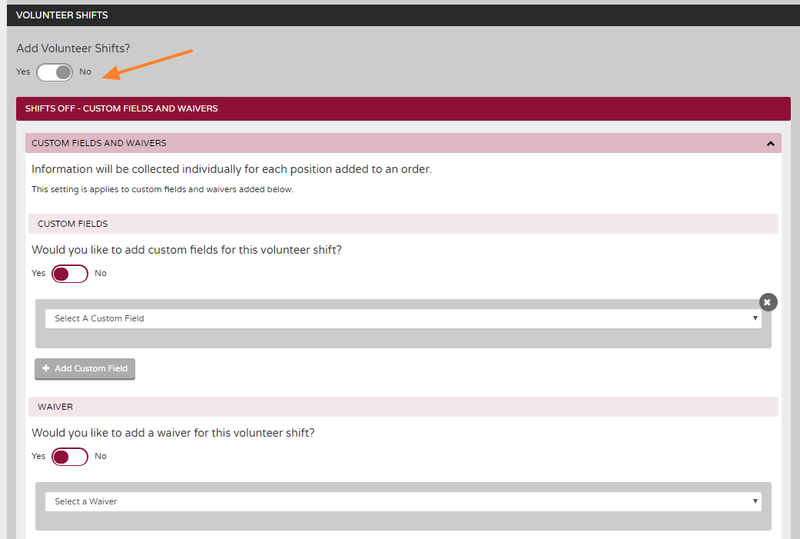 Within each Shifts setting, you can add Custom Fields & Waivers. This allows you to collect the important information you need from your volunteers. 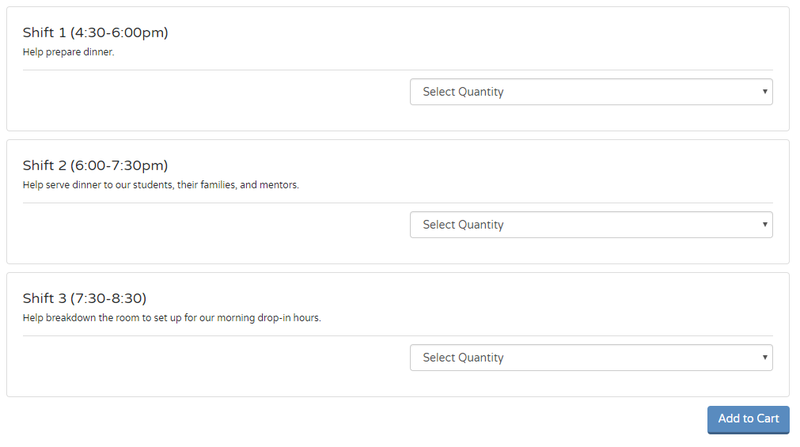 With the Cart setting On, volunteers can now sign up for multiple volunteer positions in a single transaction. Not only that, supporters can also sign up multiple people within a single transaction. When you enable individual participant information collection you will be able to collect information for all participants that sign up to volunteer. (Note: you can only collect individual participant information when shifts are enabled). 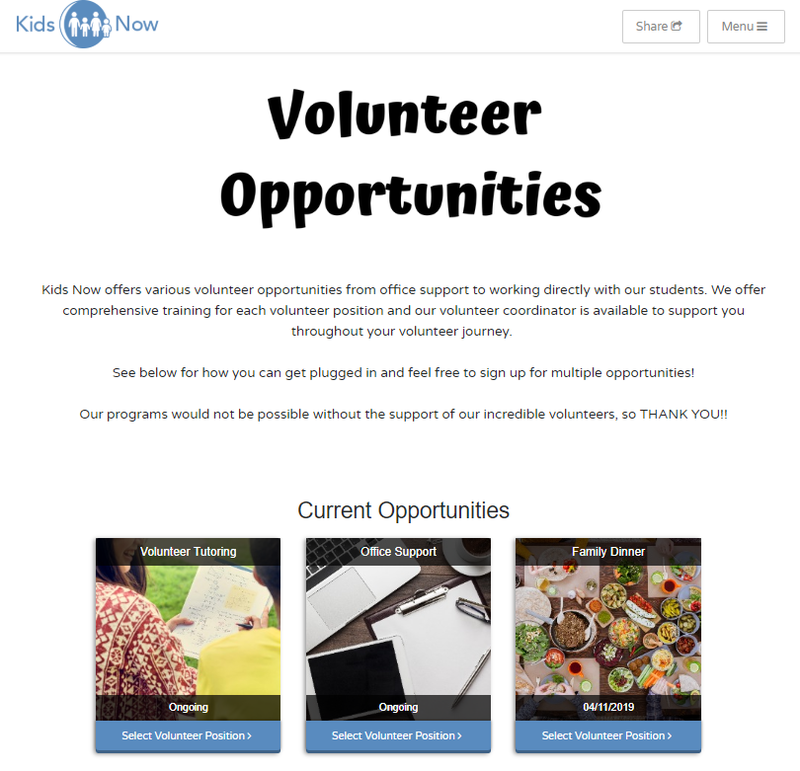 If your volunteer position doesn't need shifts, no problem! 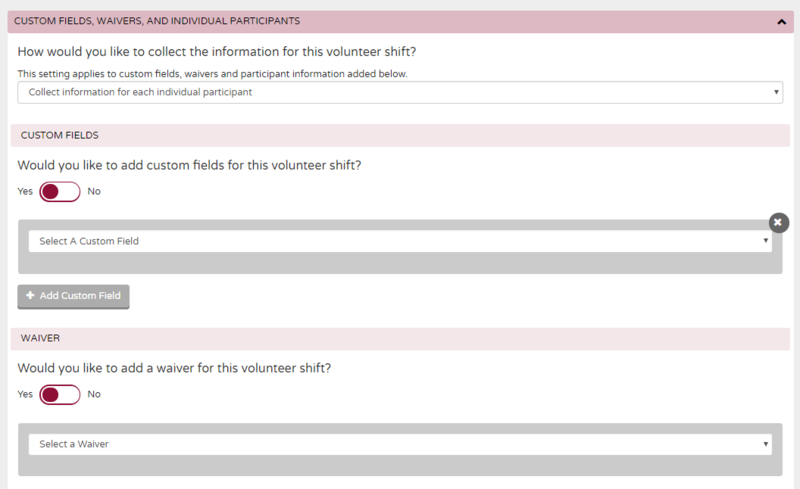 You can disable shifts and still collect custom fields and waivers for the volunteer position.